Take time for you to restore and reconnect. After time away, discover your return to life with a refreshed presence and a passion for life. Recharge and connect with your soul's purpose in a retreat. Notice your breath. Inhale. Exhale. We all relish the ability to get away. Our restoration time allows us to return to the world ready to meet all of our necessary tasks and obligations with a lightness of spirit and clarity of mind. I have enjoyed hosting retreats for those preferring a journey inward on a modest budget. 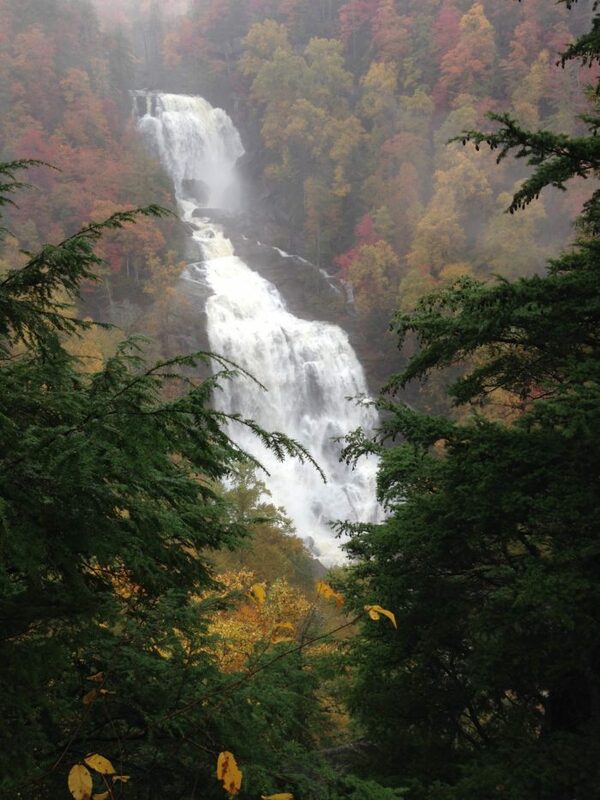 We’ve found a wonderful way to create a budget inclusive experience in Cashiers, NC. 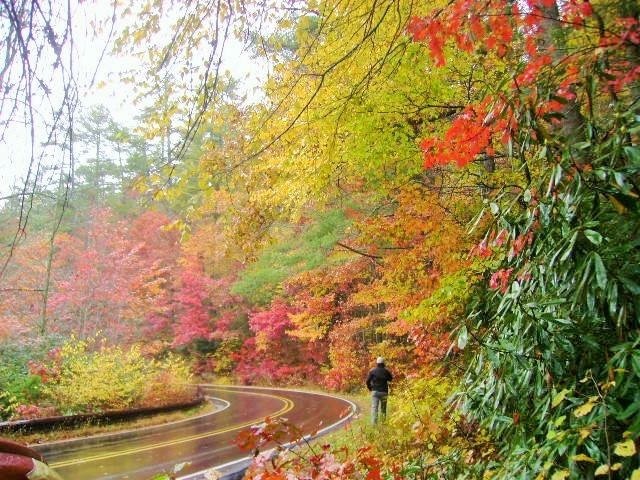 2015 was our first Fall in the mountains. And even though it rained during our 4 days there, the environment was stunning. Spending time with other adventurous women. We returned again in 2018. The weather was dry, and we literally watched the leaves turn during our stay. We worried, and prayed together about Hurricane Michael as the storm devastated our fellow Floridians and other communities in the southeast. Our awesome lodging allows us to have 3 individual full kitchens. Plus, each room has a mini-fridge and micro-wave. Some women choose to share rooms or suites, others prefer a private room. The time of year that we go, most women pay under $100 per night for lodging. And some pay as low as $50 per night. With affordable lodging, carpooling, and pot luck meals, we have discovered a gem of a retreat location. As well, the spirited women that gather are a delight and easy going. Yep, sometimes we need to getaway, yet we can’t physically leave town. 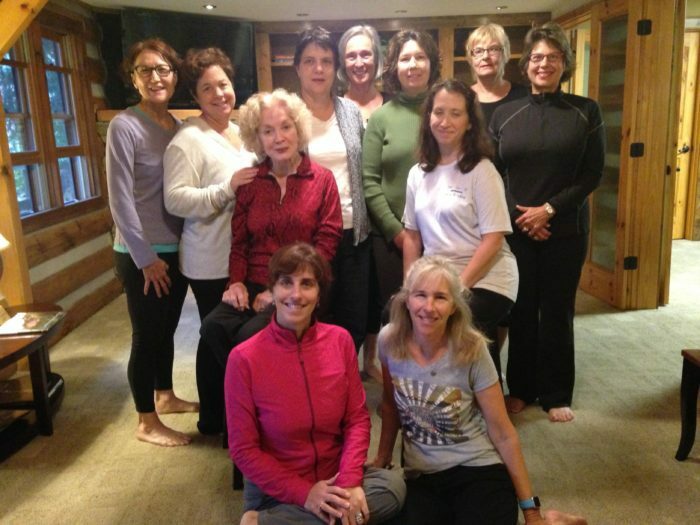 In August 2018, 40 women gathered for a local mini retreat. 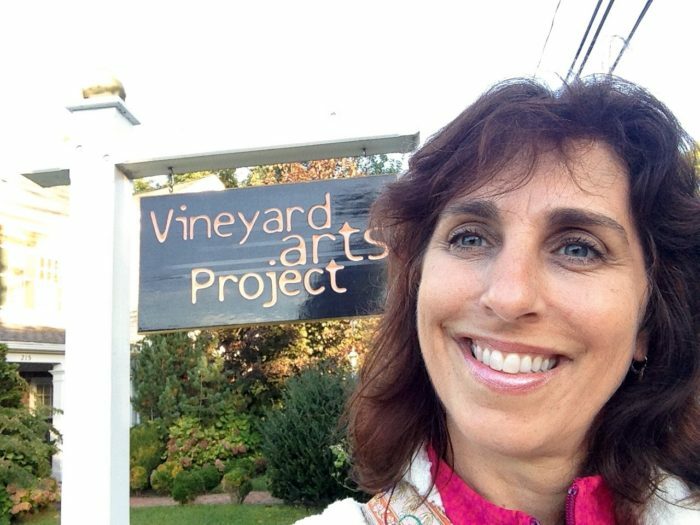 The event was only four hours, yet participants stated they felt refreshed, relaxed, and totally recharged. 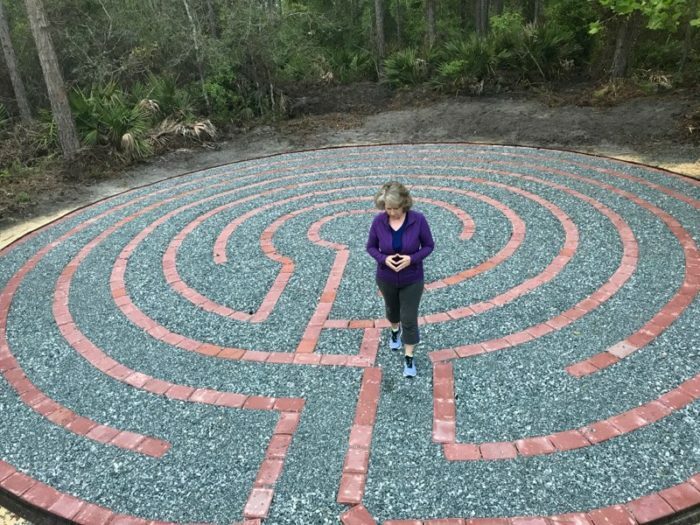 The setting for our local mini retreat was the Center for Spirituality in Jacksonville, FL which is nestled on a wooded lot near the intracoastal waterway. While the retreat had a modest registration fee, net proceeds benefitted the Volunteer Life Saving Corps. 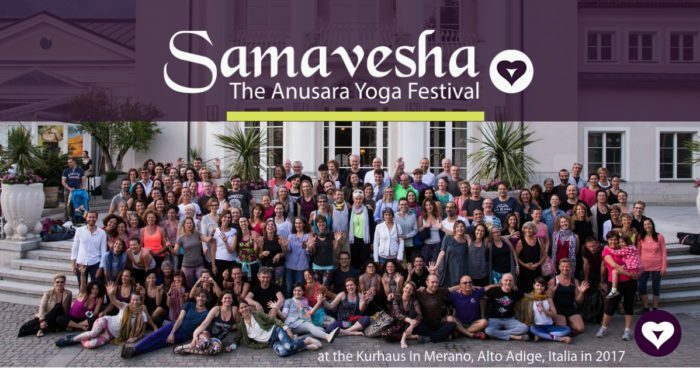 I have had the pleasure to teach at Samavesha – the Anusara Yoga Festival. Samavesha attracts yoga practitioners from around the world and is held yearly. We gather in diverse retreat-like locations such as mountain tops in California to spa town’s in northern Italy. Check out the recent locations for Samavesha. La Buena Vibra, Tepoztlán, Morelos – México. I have loved being a Presenter for Samavesha. Here’s a few video excerpts from me teaching in Merano. I taught yoga’s connection to the walking pattern at Samavesha. Presenting at Samavesha remains a delight. What’s been really interesting for me is that at Samavesha, we will have a primary language and a secondary language for each event. Volunteers help translate the teachings into the primary language. Usually, the primary language is English with a translation to say Italian. Yet, what’s really awesome, since it’s a global gathering, is to hear all of the yogis continue to privately translate to friends in other languages. It always makes my heart feel even fuller when I when I hear others helping create deeper understanding. While I don’t understand all of the languages, I feel connected by the shared experience to create clarity and build connection. While in Tepoztlán, the primary language was Spanish. It was really a unique experience for me to patiently wait for the English translation. As well, teaching internationally has helped me develop a new skill. I am able to slow down and wait for a translator. Preparing for those events helped me to really create concise language that could be easily digested by a world wide community. I felt so relaxed from our mini-retreat. It was exactly what I needed. Take a moment, right now, to reconnect and restore. Check out these categories and peruse a few articles. There's always the possibility to feel better, right now? Are you open to the shift? Click one and begin.